100% Water resistant and waterproof materials. 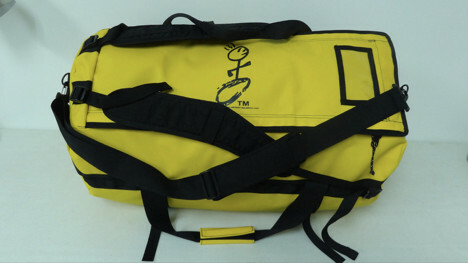 Backpack style straps for portage, along with padded over the shoulder strap.Inverted zipper to promote water resistance. 3 internal storage pockets in the lid. 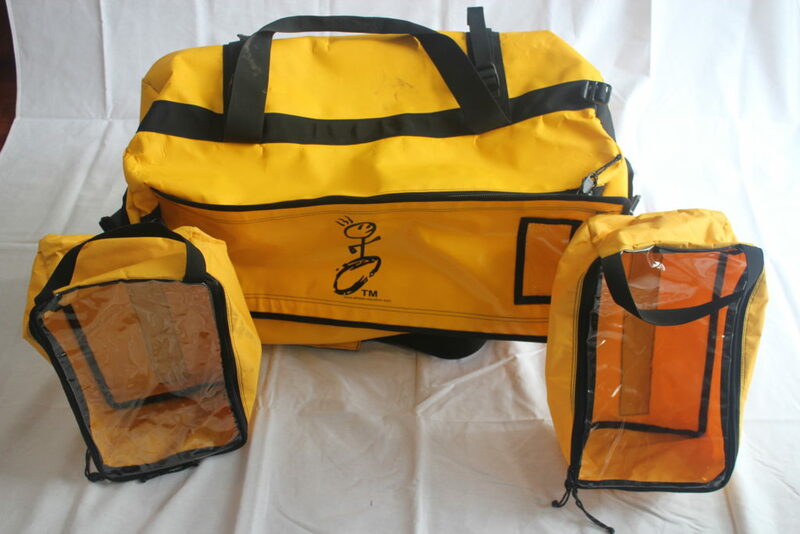 3 large pockets to organize and store clothing and race gear. 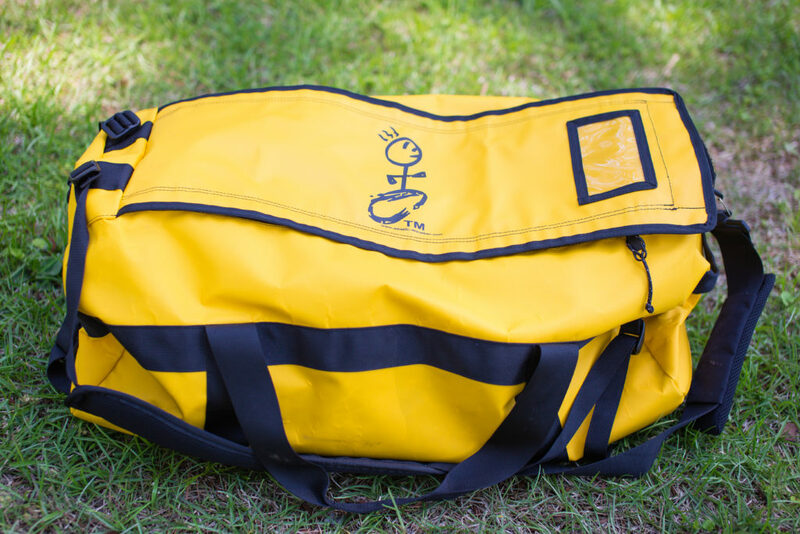 The ultimate travel (crew bag) for an ultra marathon. Simplistic in design and made of 100% water resistant and waterproof materials. 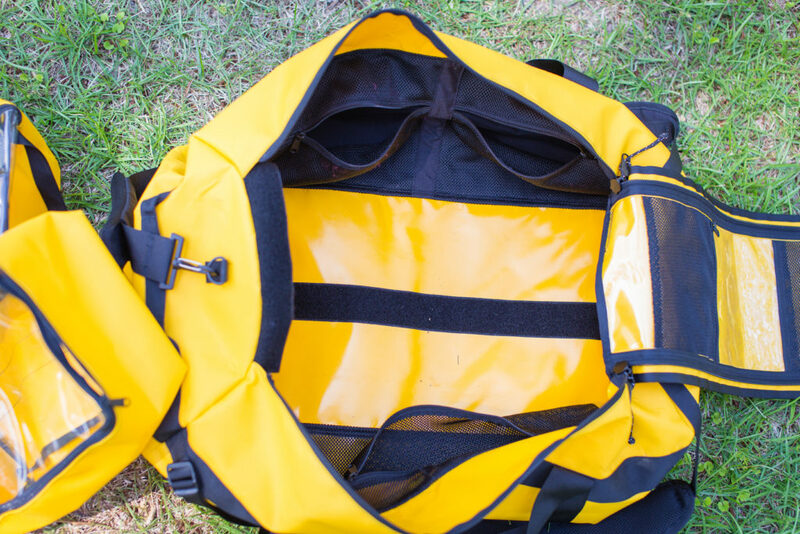 Easy access with a full length, inverted zipper to promote water resistance. 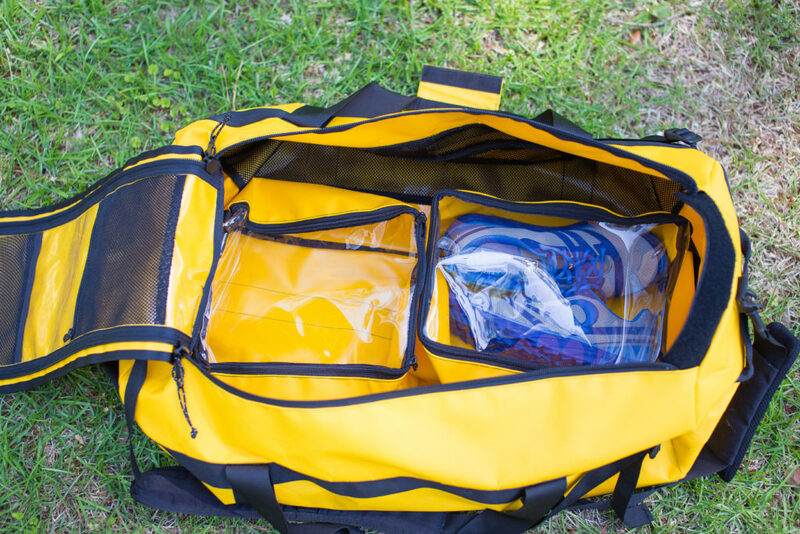 A multi purpose drop bag for use at any race distance: 50K, 50M, 100K, or 100M. Race Directors, this also makes a great race schwag gift or as a race bag. 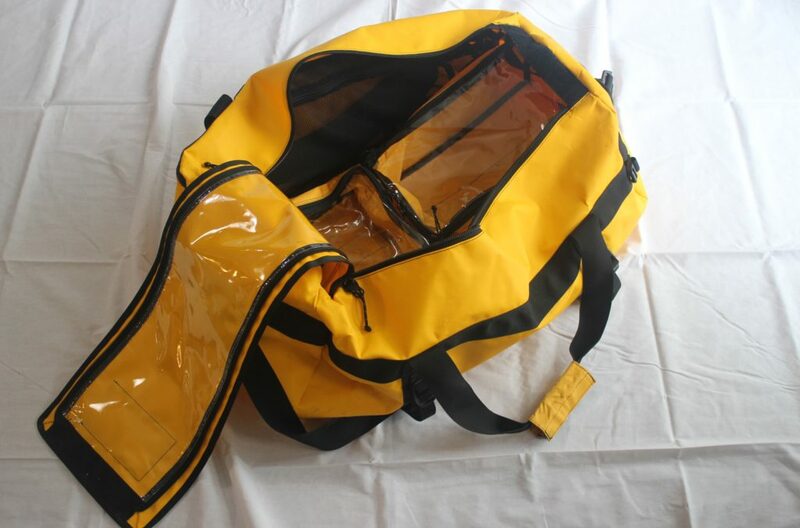 Easy access with a full length, inverted zipper to promote water resistance.